I listen to a lot of video game soundtracks, so I’m always on the lookout for more great video game music. I’ll happily pay for a worthwhile album, but if a studio is offering it up for free, I’m not going to say no. Bungie is the latest studio with an exclusive offer for players, using their new Bungie Rewards program, and you can get the Destiny 2: Forsaken soundtrack free right now pretty easily. All you need to do is complete the Forsaken campaign. You must own Destiny 2: Forsaken and have your Bungie account linked to the platform you play. If you need help, see Bungie’s help article. 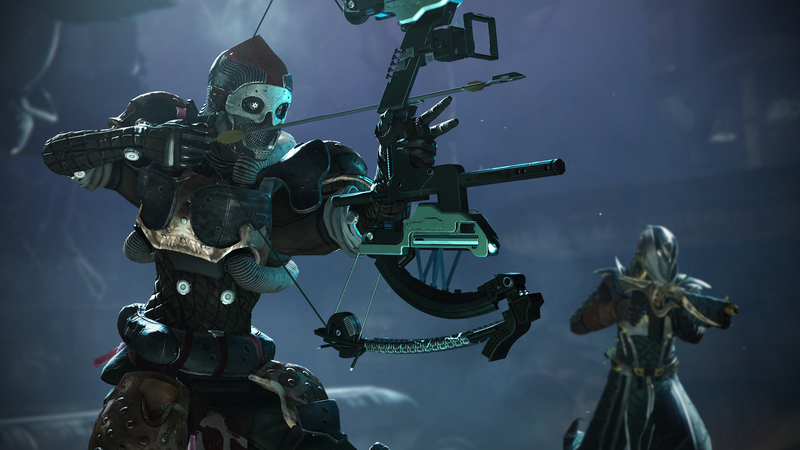 Opt in to Bungie Rewards at the official website. Visit the soundtrack page on the Bungie Store and enter the code to get it for free. You will be emailed a download link for the digital version of the Destiny 2: Forsaken soundtrack. Not only do you get the entire 110-minute Destiny 2: Forsaken soundtrack free, you’ll also receive two bonus tracks from the Whisper of the Worm quest, entirely exclusive to this offer. Bungie has also released a Bungie Store Digital Edition of the Forsaken soundtrack, which includes an additional 80 minutes of music from Curse of Osiris and Warmind, as well as a download code for the exclusive “Songs of the Forsaken” Destiny 2 in-game player emblem. Those extras aren’t included with the free offer though, so you’ll have to purchase that edition of the soundtrack if you want them. Essentially, to get the full suite of music that Bungie has released alongside Forsaken, you need to both purchase the soundtrack (to get Osiris and Warmind) and complete the campaign for the free reward, for nearly 200 minutes of Destiny music. Will you be grabbing the Destiny 2: Forsaken soundtrack free offer? Or will you be purchasing the extended suite including Curse of Osiris and Warmind instead?